Custom Marble Design, Inc. was founded in 1999 in Chicago. With idea to provide our clients with the finest quality stone material available on the market and to have optimal craftsmanship in Chicago and suburbs, we specialize in fabrication and installation of stone surfaces. Homekraft Inc is a family owned and operated company in Chicago area. 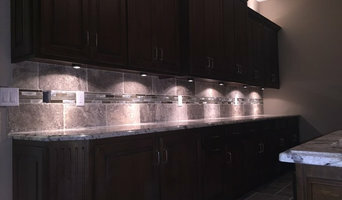 We specialize in custom kitchen countertops, vanity tops, fireplaces, etc. We are proud to offer the highest quality stone materials and superior workmanship at competitive prices. We work directly with you to ensure timely design,fabrication, and installation within your budget. Flatstone Surfaces has been in business over 15 years. Our customer service and reputation in the business next to none. Our installers are professional and courteous as well top in their field for installing and designing you kitchen. With over 30 years of experience in stone fabrication we strive to deliver best quality finished products to our residential and commercial customers. We are one of the few fabricators of porcelain countertops and shower surrounds. The natural countertops you WANT, at the prices you'll LOVE! Stone Experts is Chicago land family owned business serving downtown and suburban customers since 1999. We specialize in fabrication of granite and marble and provide a full range of services from installation to restoration and maintenance. We take special pride in providing personalized service to each customer and stand by our services and products. Tithof Tile & Marble is the foremost granite and marble fabricator, with an expert understanding of tile and tile installation. With locations in Kenosha, Wisconsin and Northbrook, Illinois, Tithof has focused on quality design and installation for over 30 years. Now with the ability to directly import material from the most renowned stone quarries in the world Tithof Tile & Marble can offer hand-selected premium quality, which intern provides customer savings. Tithof combines the use of modern technology and experienced craftsmanship to provide the highest quality surfaces for any project. Our state of the art Kenosha, WI fabrication facility is continually upgraded to keep up with the latest industry techniques to provide the results you want. For any type of project, Tithof can provide a seamless process from design to installation with our onsite accredited professional designers for a gratifying experience. Welcome to A-American Custom Flooring, the one stop for all your flooring and counter top needs. We are the largest distributor of wood, tile, and carpet in the Midwest area. Come visit our 20,000 s/f showroom where we sell both residential and commercial. If it involves tile, stone or another countertop material, odds are this pro can tackle the job. With comprehensive knowledge of which surfaces will work best in various locations within the home, Illinois tile, stone and countertop contractors can help you select the ideal material for the intended application. Some focus on kitchens and bathrooms, while others handle outdoor projects, such as walkways. In addition to basic surfaces, many South Holland, IL tile, stone and countertop contractors can create and install murals and mosaics, as well as add decorative edge treatments to countertops. They also repair or replace surfaces in the event of chips, cracks, stains or other damage. Many tile, stone and countertop professionals also install shower pans, radiant-heat flooring systems and other common components of surfacing jobs, often working in tandem with South Holland, IL plumbers or other professionals. Here are some related professionals and vendors to complement the work of tile, stone & countertops: Interior Designers & Decorators, Architects & Building Designers, General Contractors, Kitchen & Bath Designers, Design-Build Firms. Find a tile, stone and countertop contractor on Houzz. 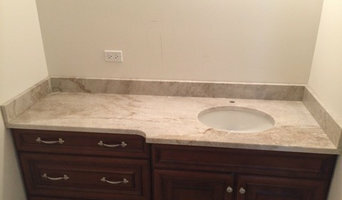 Narrow your search in the Professionals section of the website to South Holland, IL tile, stone and countertops. 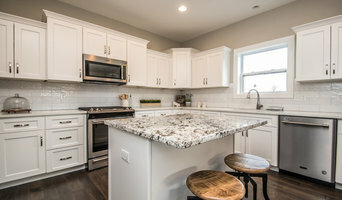 You can also look through South Holland, IL photos to find tile, stone and countertop projects you like, then contact the contractor who worked on it.